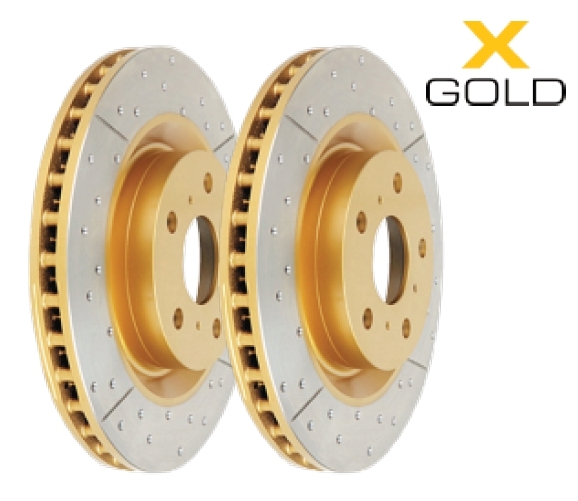 Ideal for enthusiasts looking for an upgrade over stock rotors. 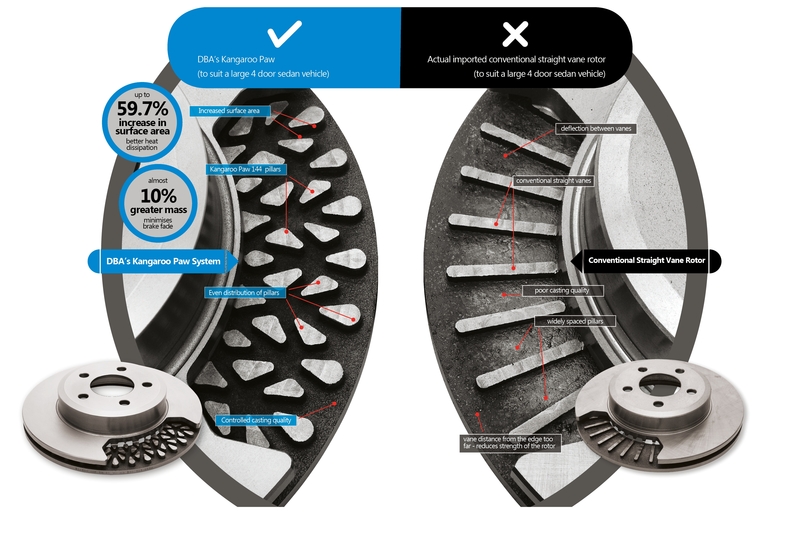 Premium non-directional cross-drilled and slotted design of DBA brake rotors increases the number of outgassing exit points allowing more brake pad friction gasses to escape through. ectiveness of disc brake. CBN (Cubic Boron Nitride) machine turned reduces DTV (Disc thickness variation) and parallelism which brings less occurrence of brake shudder or brake pedal ‘judder’. cient method of keeping the rotors cool under the heaviest of braking applications. Friction surface is CBN (Cubic Boron Nitride) machine turned for improved DTV (Disc Thickness variation) and parallelism. This provides a more dimensionally precise and stable surface nish when compared to ‘ground’ nished disc rotors.